This for THREE COPIES of the HARDBACK version. Save $9. Never before has there been such a complete DISNEYLAND guide book for kids (and parents) of all ages. Whether it’s your first time or your family’s annual trip, this vacation guide has it all! 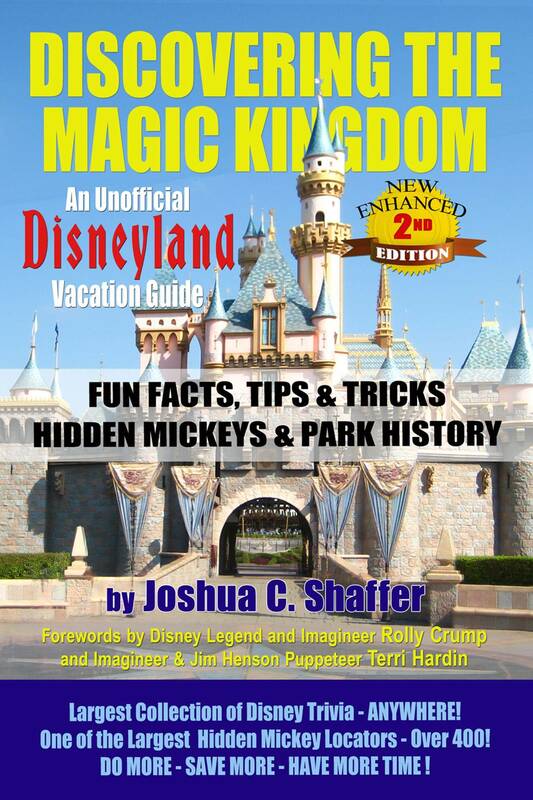 With over 3,700 exciting “fun facts” in this one-of-a-kind Discovering the Magic Kingdom: An Unofficial Disneyland Vacation Guide 2nd Edition, the learning never stops. Packed with over 750 photos, trivia, a scavenger hunt, ways to help cut park expenses and so much more, you’ll never leave for Disneyland without it. To place an order you can "Add To Cart"
Books can be ordered over the phone by calling (925) 628-1567 and an invoice will be emailed to you. If you live in Contra Costa County, arrangements can be made to have books delivered for an order placed for two or more copies (there are no shipping fees or tax added). Would you like me to sign the book to a specific person? If not, say "NONE." Who would you like me to personalize it for?